The holidays are behind me and finally I have the time to do another Instagram giveaway! This time it’s a hand-folded silver origami crane necklace. 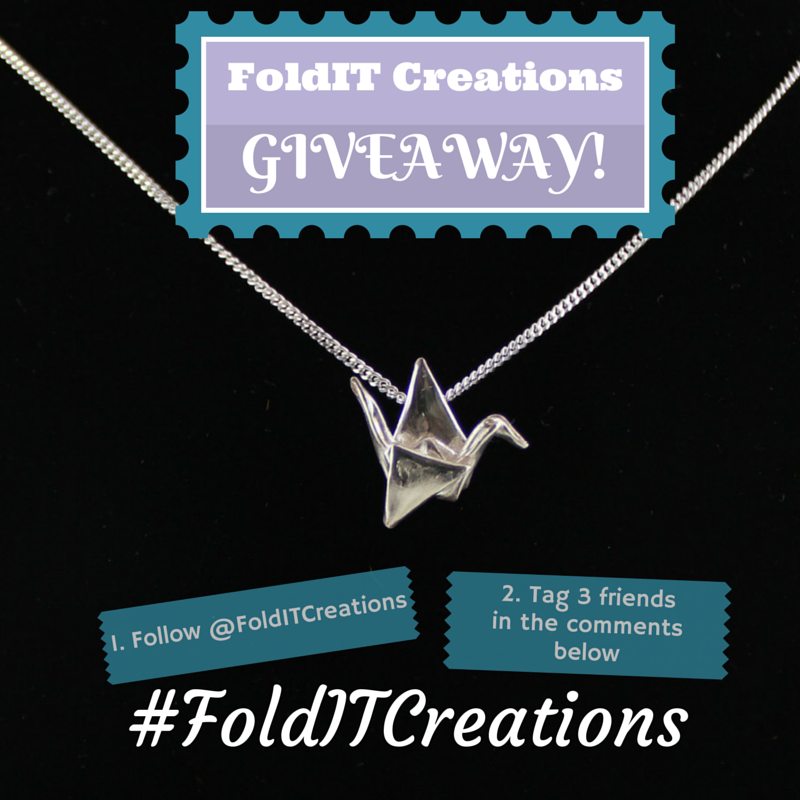 For full contest details follow us on Instagram @FOLDITCREATIONS and play along! Contest is international and ends Sat. Jan. 24, 2015. Hand-folded fine silver origami crane pendant made of reclaimed silver from old computer circuits by FoldIT Creations. This entry was posted in Chains and Pendants, Necklaces, Origami Cranes, Silver Jewelry and tagged #annexflea, artisan jewelry, Foldit, Foldit creations, folditcreations, good luck charm, good luck necklace, jewelry on etsy, origami crane jewelry, origami jewellery, origami jewelry etsy, origami necklace, paper crane necklace, pmc clay jewelry, pmc silver, silver crane pendant, silver necklace origami, upcycled jewelry. Bookmark the permalink.